The Boatman Brothers... sounds like characters you might find in a English gangster movie. Like Lock, Stock and Two Smoking Barrels — an elaborate stitch-up involving Barny and Ross Boatman, a gambling debt, some grubby old shotguns, and other hijinks. In real life, the brothers turned down such roles to become a different kind of English mobsters — Hendon Mobsters, that, is, as two of the original members of the famed Hendon Mob (with Ram Vaswani and Joe Beevers). First formed in the late 1990s and initially made famous for their appearance on Late Night Poker, the mob have roamed the world ever since playing poker and spreading the word of this beautiful game while raking in cashes and living the dream. My next two “Top Tens” will feature the poker-playing brothers from London’s Kings Cross, with today’s focusing on the elder Barny. Barny spent his younger days traveling the world, exploring places such as Australia, Hong Kong, and Sri Lanka, working different jobs as he tried to discover what his calling was, including taking turns as a teacher, a computer programmer, and a legal advisor. But it was at poker that Barny was destined to excel. Now Barny is a veteran player with decades of experience under his belt, and is living proof that old dogs can learn new tricks. The game has grown by leaps and bounds, with the current influx of new online superstars flooding the game and drowning most of the old school players with their super-aggressive style and gung-ho attitude. Most couldn’t compete and bowed out gracefully with what success they had already enjoyed, but some like Barny have managed to survive by adapting, redefining their games to stay one step ahead. That Barny has stood the test of time as a player is proven by a track record that includes collecting over $2.7 million in live winnings to place him 15th on England’s All-Time Money List. He has over 130 career tourney cashes, including 25 at the WSOP. He was the first player ever to make three straight final tables at the World Series, and last year finally landed the bracelet that had always eluded him, winning Event #49: $1,500 No-Limit Hold’em before the biggest rail of the summer, fronted by his ever loyal and loving brother Ross. 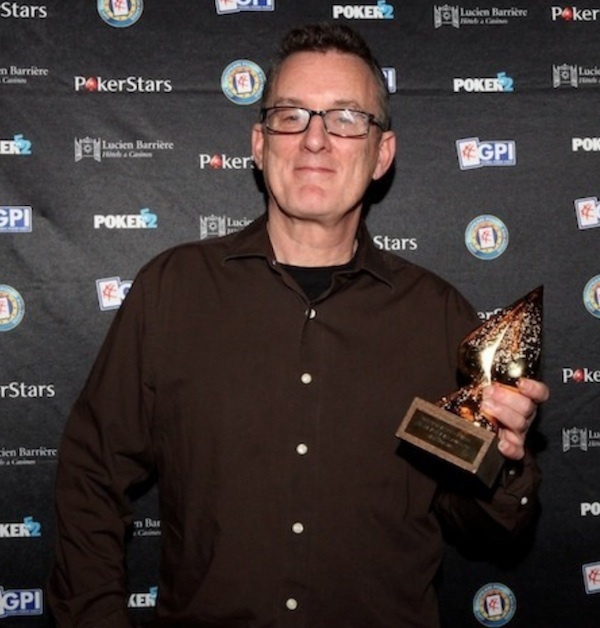 Barny was presented with a Lifetime Achievement Award at the GPI European Poker Awards in January. 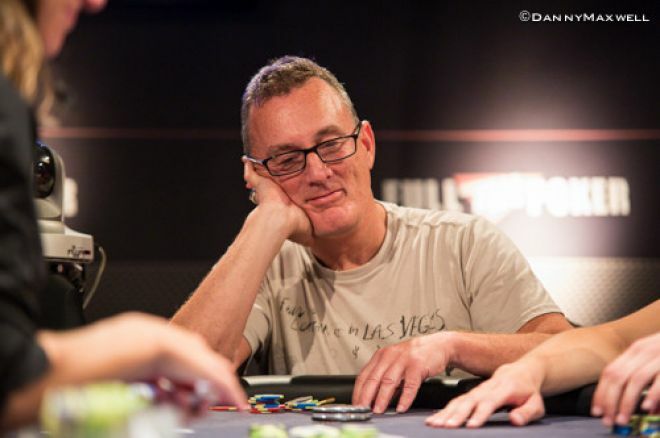 Then in January Barny added more hardware to his collection after being awarded a Lifetime Achievement Award at the Global Poker Index European Poker Awards in Deauville. In my 10-year poker presenting career I have come across the Boatman brothers on many occasions. They are two of the kindest, most affable, likeable players you will meet. They have never turned me down for an interview, even when they’ve just busted a tourney, and both are always eager to help and support others in the poker community whenever they can. 1. What made you decide to play poker and how did you get into it? I was always a games player. I'm very social and, I'm gonna be honest, have always liked a flutter. Poker ticked every box and is endlessly challenging. I made the switch from home games to the live circuit when I discovered tournament poker. 2. What is the best piece of advice you can give to a new player? Don't try to prove how clever you are. Focus on what you can learn. Keep developing the technical side of the game but, in live poker particularly, learn to listen to your gut as well. 3. What are the five top elements to consider when playing a hand? What is my image at the table/in this hand. What story am I selling, and are they buying it? How do stack sizes affect my options? Do I detect strength or weakness? Do I need help from the deck, and if so am I getting the right price? What is my plan for the hand? How will I respond to possible developments? 4. What do you think has made you such a successful player and what are the attributes a player needs to become as successful as you? If I have any edge it's my enthusiasm for the game, which helps me to stay focused and to keep learning. Having said that, I'd advise anyone to aim a bit higher than trying to emulate me. 5. What are your favorite poker tells at the table? My favorite tells are when young hot shots talk about the game I'm in, assuming (often correctly, but not always) that I don't understand what they're saying. These are “tells” in the most literal sense possible: They tell you what they're thinking. Thanks for the help kids. I need it. 6. Who is your poker idol and why? Ross aside, I think my poker idol is Annette Obrestad. She was breathtakingly successful at a very young age and handled the pressure brilliantly. Her WSOPE victory changed the game and she is a great role model. At the table she is cool, smart and tough. The perfect combination of head and heart. Oh, and John Duthie, because he's nuts. 7. What is the craziest thing to ever happen to you at the poker table? I won a bracelet. Me! It doesn't get any crazier than that. 8. If you could play heads up against anyone in the world, who would it be? I'm gonna say Ross because we always swap five percent, so at least I'm guaranteed a result. 9. Who is the biggest celebrity you have played a hand against? You keep trying to get me to say Ross don't you? He and I used to play a lot, often three-handed, with his good mate Clive Owen. He may not have been a huge star then, but he was and is as nice a man as you'll ever meet. 10. If you weren't a professional poker player, what would you be? An amateur poker player... And, I hope, a writer. 11. How did it feel to have such a huge following and rail at the $1,500 event you won last year? I'm gonna say it was indescribable. And then I'll attempt to describe it. It was... indescribable. The rail made the occasion for me, and probably won me the bracelet, too. It belongs to all of them and I will never forget that. 12. What advice would you give a rookie player looking to follow in your footsteps and take down a WSOP event? Firstly, don't hold your breath. If I'd have held mine I'd have suffocated ten years ago! 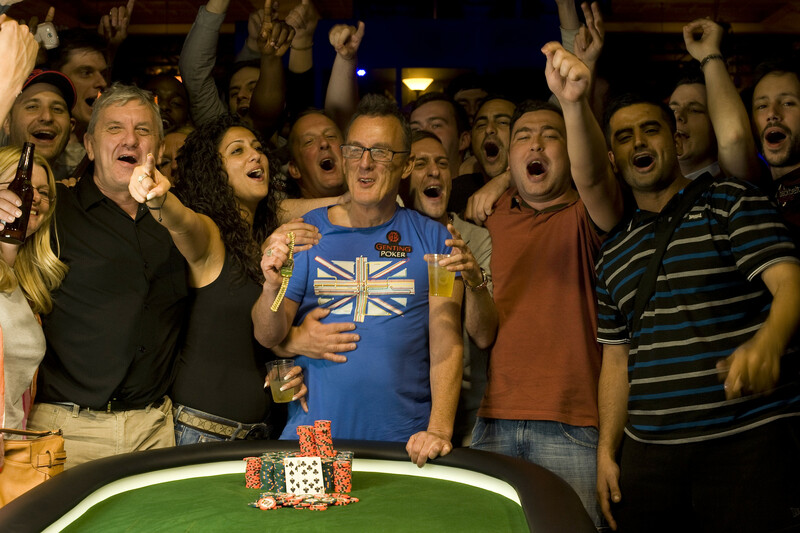 Don't go bust chasing a title, pick the good value low buy-in events. Be lucky! 13. You taught your brother to play poker. Do you think he is better at poker or acting? Acting. He's the best poker player in our family, but he's the best actor in the world. 14. How has it been being part of the Hendon Mob and does that add extra pressure when trying to get results? I don't know if I would have stuck it out through the hard times without my “poker family.” Ram used to try to put the pressure on, but I always knew I couldn't compete with the luckiest man in the world. 15. Is there a lasting rivalry between you and your brother at the table? When Ross is playing I roll with every punch and delight in every success. And if he is not the same about me then he really IS the best actor in the world! Jean Reno. He's very cool, and about the only good-looking person I've ever been told I look like. And Sam Trickett to be my stunt double for the clever poker stuff. Thanks to Barny Boatman for taking the time. Follow him on Twitter @barnyboatman. And for all the latest here at Learn.PokerNews, follow us on Twitter @LearnPokerNews! Find us as well on both Facebook and Google+!